Playing game is fun and enjoyment with your friends and families. 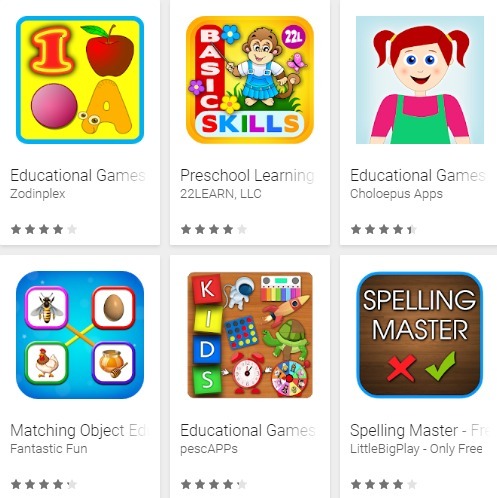 To playing games with your own choice and also play the best Android games free we must need a couple of free games. 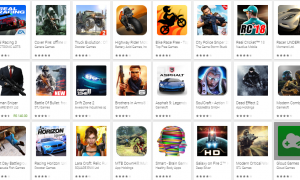 Most of the games for Android or not for free but there are lots of games which are playing today are for free like PUBG, Fortnite, and other popular games.Today I am going to give you a list of 20 Best Android Games to download and install they will not let you download and install without paying any single penny. 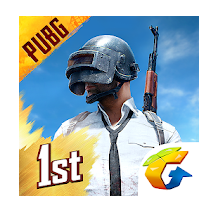 Pubg which was released on February 9, 2018, is one of the top best shooting gameplay online. This is one of the best Android game free to download and play with your friends and family. In his first year Tencent Games god so much popularity that Pubg crosses up to 100,000,000+ install on android and IOS devices. Anyone can join this game for free. This is one of the best free games for Android in 2019 which you can play on any device like Android, iOS, laptop and also on your PC. How to play pubg on laptop and PC? Play pubg on laptop or PC you can download any best emulator for Android like Tencent Gaming Buddy are you can use any other emulator like NOX and BlueStacks. 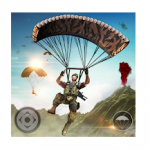 In this game, you play with your follows and friends dropout from a plane with 100 players with parachutes. Then you have to found weapons and other pieces of stuff to save your life play with your friend help each other and get chicken dinner at the end. Amazing landscape buildings, desserts, mountains, and forest. This is not a just game it’s a Battle Royale with real-life blast and shooting. Note: You need a persistent internet connection to enjoy this game. You must have at least 2 GB of RAM on your laptop or PC to enjoy this battle Royale game. Now you can watch your results up to 1 month only. Alto’s Odyssey is one of the simplest sandboarding journeys with your friends. This game is free to play and you will travel through different beautiful places by sandboarding from Hills, mountains, and deserts. 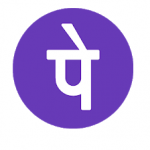 It is one of the best android game which is available for download here. In this game, you will face different difficulty levels to pass out hurdles, escape mischievous lemurs, ride towering rock walls and bounce atop hot air balloons, etc. It is one of the adventures best Android game for free. Get stunning photos of your trip to Desert and share it with your friends and family. 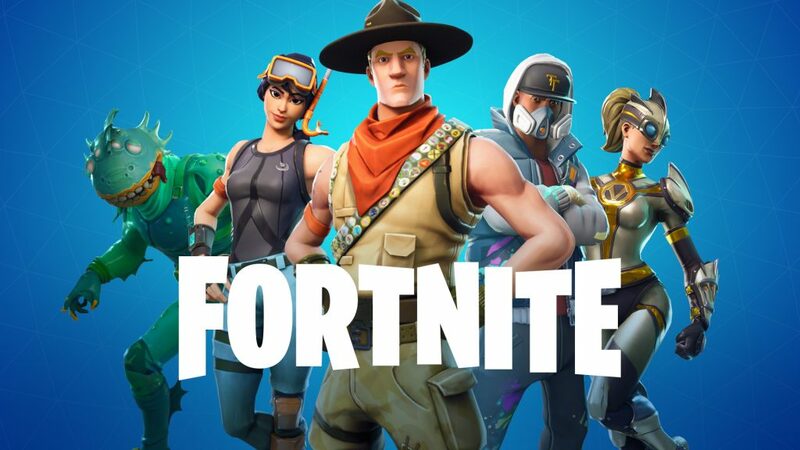 Fortnite is one of the top best android games to download on a variety of platforms including Android and iOS. This amazing game is now available on different platforms like Android, PlayStation 4, iOS, Microsoft Windows, Nintendo Switch, Xbox One, and Macintosh operating system. Developed by Unreal engine 4 this award-winning game was first released on July 25th, 2017. 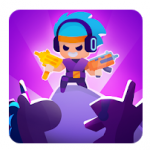 As compared to pubg, fortnite is also much popular as it is the best free Android game. This game will give you the freedom to play this game as your own to create buildings customize your weapons, clothes and also make your own toys to fight with your enemies. Is amazing game will give you tips and information which will not be given by any other game. This is one of the best Android shooting game in 2019. 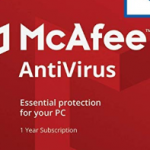 How to download and install fortnite on PC Window 10? To download and play this game you have to visit the official fortnite website and then Click on get fortnite. 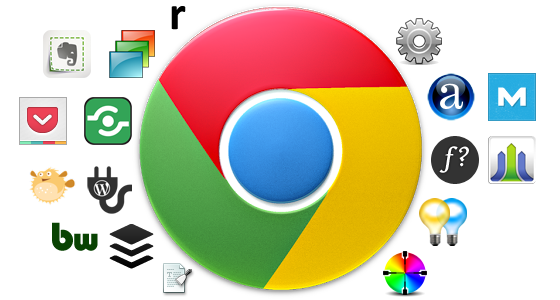 After this select Mac/PC to download on your Mac or PC device. Once you download the setup you will have to install it on your device and launch the program for further downloading of game. For installation, you will have to sign up with your Facebook, Google account or fill the information with email and address. Installation and downloading of the game will take time after that you will be able to play this game. Everyone knows about supercell after the successful launching of the clash of clans and clash royal and one of the top best Android games, Boom Beach make the history of 50,000,000+ install on Android devices. 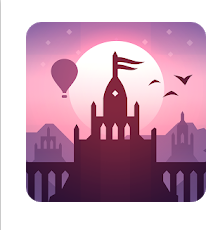 The game is so much popular that it is rated 4.5 plus star on Google Play Store. This is one of the best android games to download and also you can purchase in-game gems and coins to fight with your friends indifferent Arena. With amazing graphics and effects, this game will blow your mind in this game you can unlock new thousands of Brawlers and also other variety of games mod. This is one of the best Android games on Android will let you play with your friends online as solo and Duo. Showdown (Solo/Duo): In this mode, you can play with your friends are play solo with your own powerful Brawler to win the game. Bounty (3v3): This is the game as a bounty to kill another opponent to win the game but take care you must not let them pick you off. Heist (3v3): This mode has more tricky to make a way to your enemies treasure. 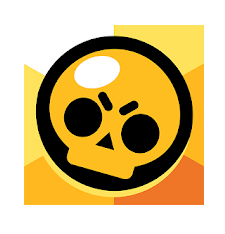 Brawl Ball (3v3): This mode is like a soccer player game to make more scores and let them anyways to make scores greater than you. 3v3 real-time battle game across the world. This is one of the fastest multiplayer Battle Royale game for mobile. Use a powerful fighting weapon Brawlers and unlock its new powerful features. The game launch new events and game modes on a daily basis. You can play this game as cop and solo. 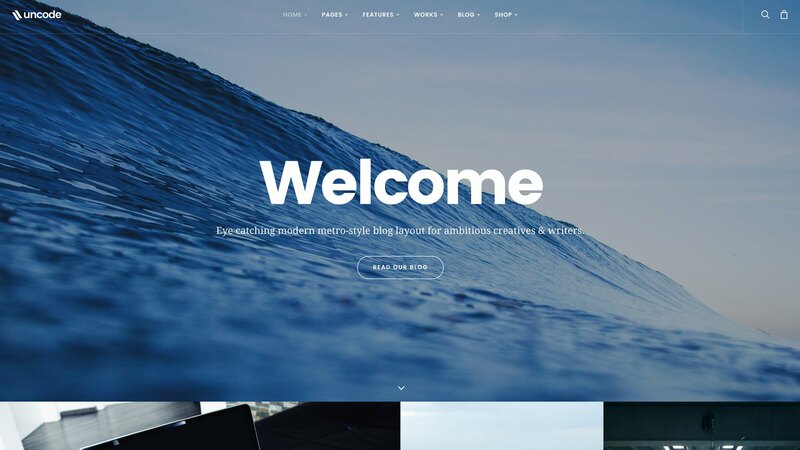 Get global and local ranking. You can make your own followers and players club to share your gaming experience, tips, and Battle tricks. You can customize your own Brawlers as per your wish and unlock different skins. A new battle mode Siege has been added with robots. In this battle mode, you fight for different robots parts and destroy enemy bases, and customize your own robot. New Super Rare Brawler: Carl is coming soon. In this new mode, you can throw Pickaxe on your opponent Enemies bases through by Carl. This mode will be soon available on the upcoming update. Some other bug fixes, new maps, and other new updates. 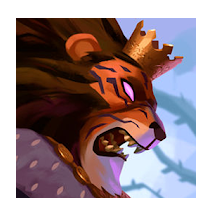 Armello is one of the best Android games which has three unique styles. This game is based on the combination of RPG, board game mechanism,deck-building and best Android games with extra digital animation you never saw in any game. Is an amazing game has its own unique features and a combination of a fight between different AI in online players in the match. This is the game of Heroes from Armello’s Great Clans it plays against other players safe Kingdom. This adventurous game has the experience to play easy but hard to master which story-driven tutorial mode. Armello is a best technical and political complexity and game with full of thoughtful and power. You can play this game as a multiplayer with AI Personality with two different rings Amulet and Signet to make a different playground. This has a gorgeous dynamic World with stunning dynamic Quest system. From this game, you will feel like you are playing a cardboard game with physics-based dice. This game is full of animated cards and you will see 150 beautiful animated in-game cards. Recently Armello comes to Android now you can play the game on your any smartphone Android device. Some game changes have occurred as the King Has Fallen to corruption. Now the time to stop king with this star corruption to become a good Armello. Asphalt 9 is one of the tops best Android games to download of your any device like Android IOS and even on your Microsoft Windows. Last year on February 26, 2018, Gameloft launch this game and till now this game got so much popularity and cross 10,000,000+ download and install on Android devices. Asphalt 9 is one of the best Android games. In this game, you will be able to enjoy your favorite real hypercars in the streets. Here you can pick your own dream car like Ferrari, Lamborghini, Porsche and W Motors, etc. 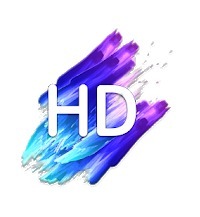 It is one of the best arcade car racing game with stunning call HDR techniques, console experience on your palm real blockbuster car racing games like in movies. In this game, you will see 50 best car in term of speed and mechanism collected from all over the world. You can customize your own car with colors, materials and choose your own best track to race. Unleash power and last of Arcade fun with 360 rotation at any tab with the ultimate post of speed you never experience. You will become a street Legend after playing 60 seasons and 800 events in this amazing online multiplayer Mod game. You can get a top speed with ultimate racing controls and it has an awesome mechanism and driving control schema. 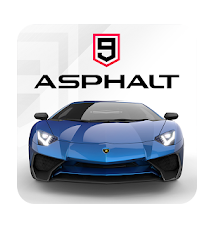 In this game now you will experience a real-life car introduce in the market now in Asphalt 9. Whenever a new car introduced in real life in our automobile industry you can also get this car in this game. 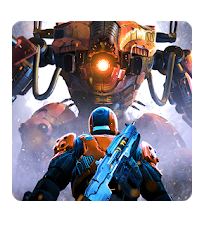 Shadowgun Legends is a science fiction gameplay with awesome graphics. This game is based on the war between legends warriors and aliens. You can make your own character with skin colors, style and also hair. It also has many other customizations from which you can enjoy the game while fighting with dangerous alien creatures. Game Type: Align Shooting Game. New contents and features added like Stingray, Jump Rope, Pogo, Rodeo, and Chillin. Earn gold from a new way by offer wall. New bundles like Sulaco Cosmetic and IAP bundle Xenomorph. A new version has been improved by graphics settings and make them or smoother in playing experience. Pokémon Go is the most adventurous game ever built in history. This is the craziest game ever played on android and IOS devices and almost downloaded and install up to 100,000,000+ across the world. This is the world best android games to download. This game is based on augmented reality where you have to catch pokemon in your street of your country and also in other countries. On July 6, 2016, it was first released in certain countries enter now it is available almost in all the countries in the world. I never saw the craziest game ever like this. People start getting pokemon day and night to get the highest Pokemon to go catcher. 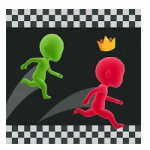 Due to this huge popularity, it is also top of the best mobile game in 2019. To play Pokemon go you have to walk through your neighborhood with your smartphone. 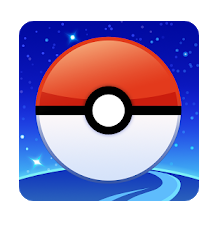 Once you got a Pokemon your smartphone will vibrate and now you can use a poke ball to catch a Pokemon. An old man from Taiwan is also known as Uncle Pokemon is also famous to catch pokemon on his bike with 15 phones attached on it. He is the worst game ever which I see in my life. The game is free to play and only optimized for a smartphone with Android Version 4.4–7.0+ and with almost 2 GB of RAM to enjoy this game. This game is not compatible with any tablet device and you also need in a network with accurate location finder like Google Map. 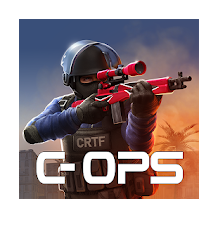 Critical Ops is one of the best next generation First person Shooter game. This game is one of the best android games to download from the Google Play Store. This stunning game has his own amazing features graphics which you can play with your friends online. This is one of the most skill-based mobile FPS game. The map of this game is more realistic and has challenging game modes. You can customize your own weapons and also p master in a variety of weapons and skills. In this game you have to kill street Fighters and terrorist, you can also play team deathmatch is a quick single play, and also play two teams with two different goals in every Battlefield. 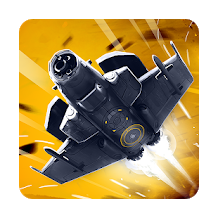 Game Developer: Critical Force Ltd.
Sky Force Reloaded is one of the wonderful Arcade shooting game. This game has modern visuals design and standing gameplay graphics and mechanism. This game is like sky shooting game with beautiful environment and amazing gaming effects. Lots of gamers kids love this game as it is more challenging and with immersive stages and powers like incinerating lasers, Meaty explosions, etc and others. In this game, you can build an aircraft and which is easily customizable assembling different parts. This game has nine different aircraft, in-game objectives, unlock its assisting techniques, unlock modes, 15 beautiful stages, amazing voice over and electronic soundtracks, hundreds of upgrades to your guns and shield. EA games all the world popular games ever. All of EA games are the best Android games to download on Android devices without paying any penny. EA is the largest American video game Corporation which headquarters located in Redwood City, California United State of America. This is the biggest Marketplace which gives the gaming industry with the most popular games in 2019 like FIFA score, EA Sports UFC, NBA live mobile. 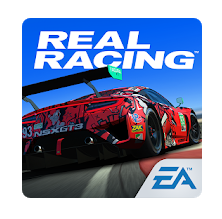 As compared to other mobile games EA sports game have their own amazing graphics, freemium elements, and amazing controls to play your own favorite game. FINAL FANTASY BRAVE EXVIUS is the best 2D role-playing game to bring back your favorite legendary characters in Battlefield. 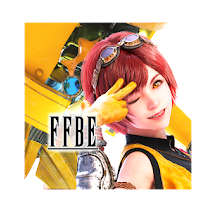 This brand new FINAL FANTASY game is one of the best android games to download on your smartphone. This game has entirely RPG mode with amazing features. This game has awesome technical abilities to fight with your enemies in difficult strategic modes. You can also enjoy this game in multiplayer and also fight with other players to get top position in the game. 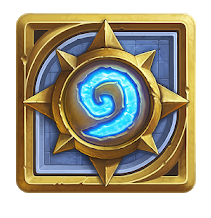 On March 11, 2014, Blizzard Entertainment’s launched its best cardboard game Hearthstone. This game is built on existing Warcraft series with legendary cards. This game has also won the award of the best mobile game of the year award. It’s amazing and stunning graphics this game has its own unique features and dozens of powerful weapons to fight with your opponent. You can enjoy this game with the real-time player and also with player combat in multiplayer modes. 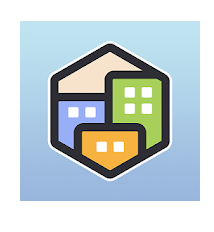 Do you want to become mayor of a city or become architecture which creates residential, industrial and as well as commercial areas? If yes then you should play Pocket City Free. this is one of the best android games and also the best android game in 2019. 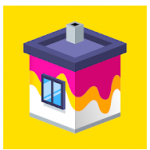 Pocket City Free is the most stunning games with amazing effect and features to build your own rooms with your own choice. In this game, you can also control natural disaster, city crime, build required buildings on any commercial area and also you can unlock different features to enjoy this game. Vainglory is one of the best strategic free to play the award-winning game. It is one of the best game which is free to play at any time. One of the Unique things about this game is that it is the cross-platform game now you can enjoy on your smartphone as well as on your PC too. With amazing and beautiful stunning graphics, customization of your unique characters this game will give you superb performance in 5 vs 5 battle Arena. In five minute of battle, you can join with your friends and followers this enjoys this amazing game. Harry Potter: Hogwarts Mystery is one of the best android game which will give you an adventurous life of Harry Potter. 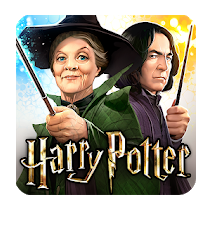 This is one of the android game free to download where you can enjoy Harry Potter life in amazing story mode. In this game, Harry Potter explore Hogwarts Castle and also its magical mysteries. He also gains magical powers from Professors Dumbledore, Snape and other professors. 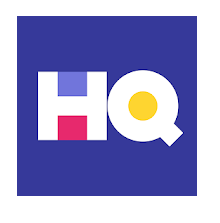 HQ – Trivia & Words is the kind of game where you can earn cash and prizes for free by answering questions and participate in a different quest. This is one of the best android games to download on the Google Play Store and earn real cash money. 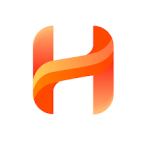 This app is running from Popular shows from New York time, CNBC, the today show and more. This game will let you cash prizes by solving word puzzles from easy to hard and get cash from PayPal. 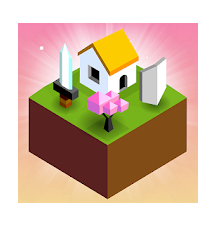 Battle of Polytopia is one of the best amazing statutory online game where you can fight with your enemy tribes to rule the world. This is one of best Android games free to download on Google Play Store and enjoy with new game experience. Players give commands towards civilization to build different architecture with the quick mechanism and then attack another evil tribe. This is one of the best Android games which is mobile friendly. 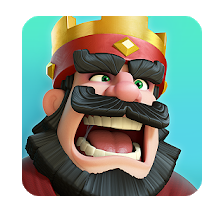 Clash Royale is one of the amazing projects buy supercell. It is one of the best android games. It is still 17 game where you can fight with your enemies in real-time multiplayer mode. In this game, you have not to build anything but you have to fight with your enemies with your best players by upgrading them time by time. This game is derived from the popular game Clash of Clans and their all characters and heroes in this game. You can find baby Dragons, princess, Knights and other popular characters from Clash of Clans. 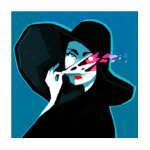 Card Thief is the award-winning game who wins German Developer Award – Best Game Design 2017 and in 2018 German Games Award – Best Mobile Game 2018. This is one of the best android games to download from Google Play Store where you can enjoy this amazing cardboard game. 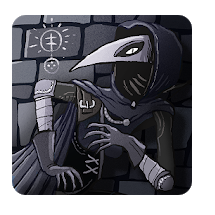 In this game, there is a stealthy thief which height in Shadow to stole different cards with competition and with a reward mechanism. This game is similar to the popular solitaire-style card game to match different cards with 4 different heists against your enemy.